After months of testing, reviewing, and voting, the best smart home products released this year were whittled down to a series of prestigious shortlists, where only the very best gadgets competed against each other to be champion. And now, with the T3 Awards 2018 actually happening this Thursday, at the Ministry of Sound, the wait is finally over to discover the overall winners of each smart home category. What follows are the big winners in the smart home categories of: Best Smart Home Tech, Best Connected Lighting, Best Connected Energy Product, Best Connected Security in association with ExpressVPN, and Best Home Networking Tech. The big winner of T3's highly competitive Best Smart Home Tech award is the fabulous Amazon Echo Spot, which is not only able to draw on Amazon AI Alexa's tens of thousands of app skills, but also comes packing a neat circular screen that offers even more, visual functionality, too. 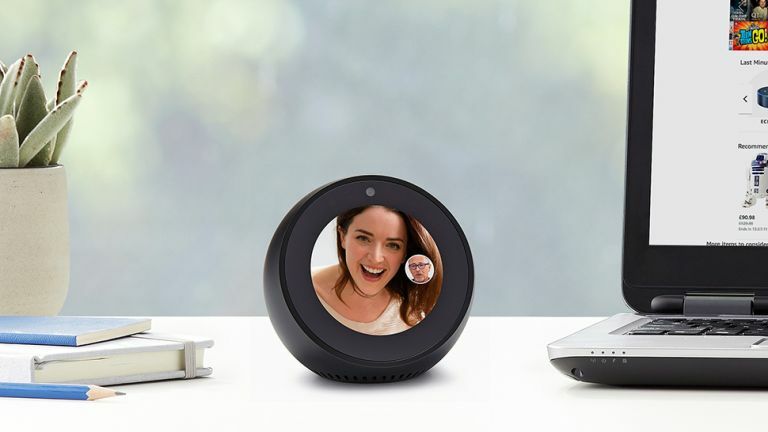 Added core skills such as weather, news, sport and ability to make video calls or drop in on other Spot (or Echo Show) users, along with its compact, aesthetically pleasing form factor, make it one of the best Echo devices in Amazon's impressive range. It's a no-brainer purchase for those looking to add genuine smarts to their abode. The Amazon Echo Spot is a simply superb smart home gadget, and worthy winner of this incredibly competitive Award category. With a dominant display in the judging process, the Nest Cam iQ Outdoor has proven to be one of the most well-regarded, smartest and most coveted security cameras. In fact, we'd go further than that and say it is THE best, because it's now scooped the T3 Award for Best Connected Security in association with ExpressVPN. Naturally, it's also riding high in our best security cameras chart. The Nest Cam IQ Outdoor truly is a tech powerhouse, packing a 4K image sensor, advanced facial recognition ability and – a must for an outdoor system – an IP65 weatherproofing rating. That means it can operate in temperatures ranging from -40°C to 45°C. Now that's impressive. As you would expect from such a well-specced system, picture quality is excellent, and not just during daylight hours, but at night, too. Motion tracking and the aforementioned facial recognition, which only alerts you if the face is unknown, are also very useful features that make you very quickly wonder how you ever lived without them. For helping to keep your home secure in the easiest, most hassle-free way possible, we were heartened to see the Nest iQ pick up this prestigious award. The most well-known smart bulb on the planet secured top spot in T3's Best Connected Lighting award category, with Philips Hue just doing enough to fend off stiff competition from a raft of competitors, with LIFX in-particularly a narrow runner up. In the end, though, Philips Hue's impressive range of bulbs and lighting configurations, as well as intuitive, updated app was enough to win through. Indeed, Philips Hue really is the best smart bulb in class in 2018, with a host of great features including integration with Apple Watch and IFTTT, as well as seamless interoperability with HomeKit, Alexa, SmartThings and more. The ease of use of the Philips Hue Bridge, too, which can act as a controller for up to 50 lights at once is a most welcome boon to an already premium package. With compatibility with Worcester, Baxi, Vaillant, Potterton, Ideal and more boiler makers (95 per cent of systems, officially), as well as coming loaded with smart tech that allows it to learn the layout of your home and the heat capacity of your house, the tado° Smart Thermostat and Radiator Thermostat is the brilliant big winner of T3's Best Connected Energy Product award in 2018. The tado° thermostat, which is currently sits atop T3's best smart thermostats guide, also features the killer feature of geofencing, which by tracking the proximity of your mobile it can detect when you're on the way home and can, therefore, heat your home before you get there. Its app, too, is fully programmable and displays buckets of useful information about your energy use, while Alexa and Siri compatibility adds a welcome layer of interoperability, too. Overall a fantastic all-round smart energy product that makes heating your home a breeze. Rounding off our acclaimed list of smart home award winners is the simply stunning Netgear Orbi WiFi System RBK50, which is without doubt one of the best WiFi coverage and speed solutions on the market today, with performance that puts it right up there with the best mesh networks. Not only does the Netgear Orbi make WiFi black spots in your home a thing of the past, with it working akin to a turbo-charged wireless extender, but its setup is refreshingly, best-in-class simple and straightforward. As each Orbi satellite delivers a generous four Ethernet ports and USB connection too, keeping all the gadgets around your house supplied with a constant and fat internet connection really is super easy and, as lovers of quality tech here at T3.com, for that alone we can't praise the Netgear Orbi high enough.